The earliest maps were a breakthrough for our ancestors, allowing them to locate sources of food, water and shelter and to find a way from one place to another. Maps were marked on clay tablets in Babylonia, carved on bones by North American tribes, woven with shells on palm-leaf mats in Polynesia. Greeks and Romans developed map-making significantly, and Ptolemy illustrated the earth as spherical around 200 BC. Maps were crucial for discovery, conquest and commerce, as proved by Columbus. They became widely available with the printing press. In the second half of the 20th Century new breakthroughs were made with aerial photography, cameras in space and GIS technology, which allows us to capture, store, analyze and interpret spatial information, for many diverse purposes. 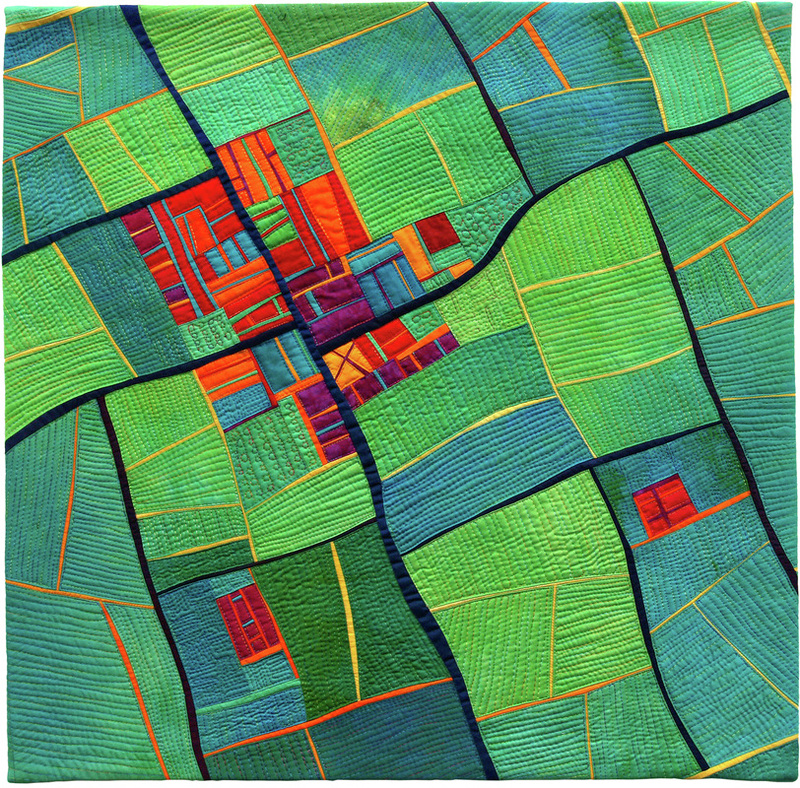 Unconventionally, artists can create maps of the imagination and explore systems and relationships in their imagery. Hand dyed cotton sateen, free cut, machine pieced, layered and machine quilted.